Hat is worked top-down, in unjoined rounds, brim is applied once the hat body is finished. Each round is worked in spiral fashion, without joining rounds. 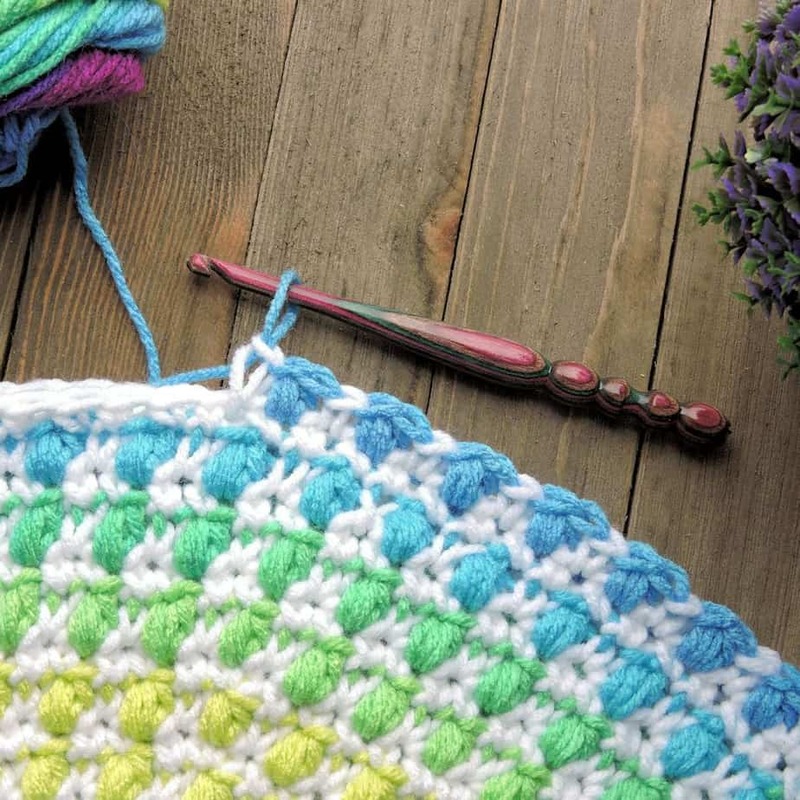 Use a stitch marker or scrap piece of yarn to mark the last stitch of each round so you won’t lose your place in the round. Alterations to the pattern, yarn substitutions or working at a different tension may cause a difference in yardage amounts required. 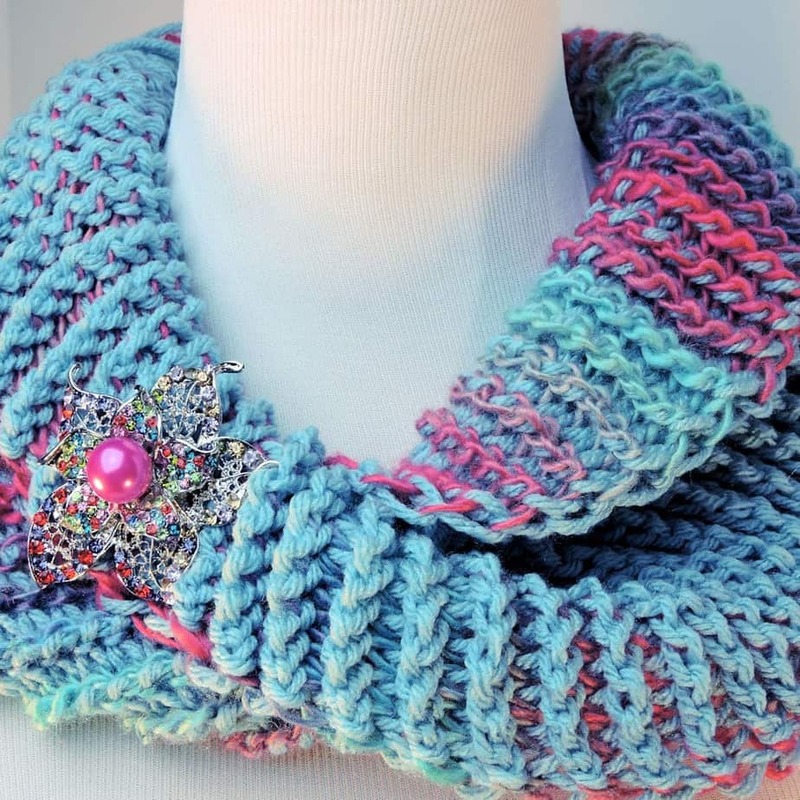 Puff Stitch (puff): Yarn over, insert hook in stitch indicated, yarn over, pull loop through, [yarn over, insert hook in same stitch, yarn over, pull loop through] twice, yarn over, pull through 7 loops on hook. It helps if you will turn the hook head down before trying to pull through the 7 loops. Note: Because there is a chain one after the puff, the next round will appear to have two stitches at the puff position. Don’t work into both of them. 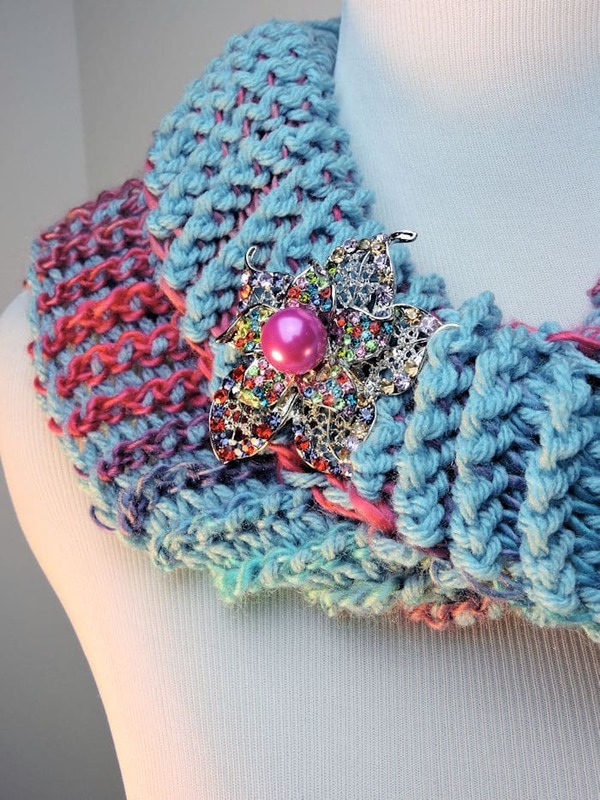 It doesn’t matter whether you choose to work into the top of the puff stitch or the chain after it. Just be consistent and don’t increase your stitch count by stitching into both of them. Note: Larger hook (see materials) is used for the body of the hat and smaller hook is used for the ribbed brim. Rnd 1: With larger hook and white, ch 2, 4 sc in 2nd ch from hook. Rnd 2: 2 sc in each sc around: 8 sc. Rnd 3: 2 sc in each sc around: 16 sc. Rnd 4: [Sc in next sc, 2 sc in next sc] around: 24 sc. Rnd 5: [Sc in next 2 sc, 2 sc in next sc] around: 32 sc. Note: This round is worked in two colors. Specific instructions will be given about dropping unused yarn and picking up next. 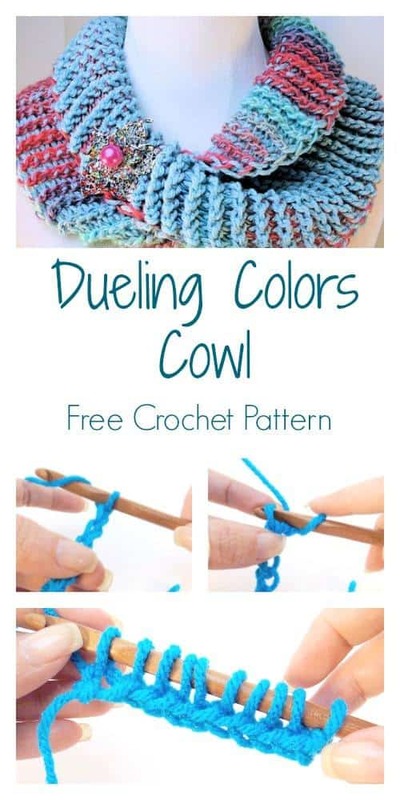 Essentially, you are simply repeating, *chain 1, single crochet, puff stitch* around so don’t let the lengthy instructions confuse you. Those are just letting you know how to change colors, if you’ve never changed colors like this. Rnd 6: With white, insert hook in first st, yo, pull lp through, drop white, with stripes, yo, pull through 2 lps on hook, *puff in next st, drop stripes, with white, ch 1, insert hook in next st, yo, pull lp through, drop white, with stripes, yo, pull through 2 lps on hook, rep from * to last st, puff in last st, drop stripes, with white, ch 1, continue with white for the next round: 32 sts. Rnd 7: With white, [sc in next 3 sc, 2 sc in next sc] around: 40 sc. Rnd 8: Rep rnd 6: 40 sts. Rnd 9: With white, [sc in next 4 sc, 2 sc in next sc] around: 48 sc. Rnd 10: Rep rnd 6: 48 sts. Rnd 11: With white, [sc in next 5 sc, 2 sc in next sc] around: 56 sc. Rnd 12: Rep rnd 6: 56 sts. Rnd 13: With white, sc in each sc around: 56 sts. Rnds 14-27: Rep rnds 12-13: 56 sc. On final round, sl st in next sc, do not fasten off. 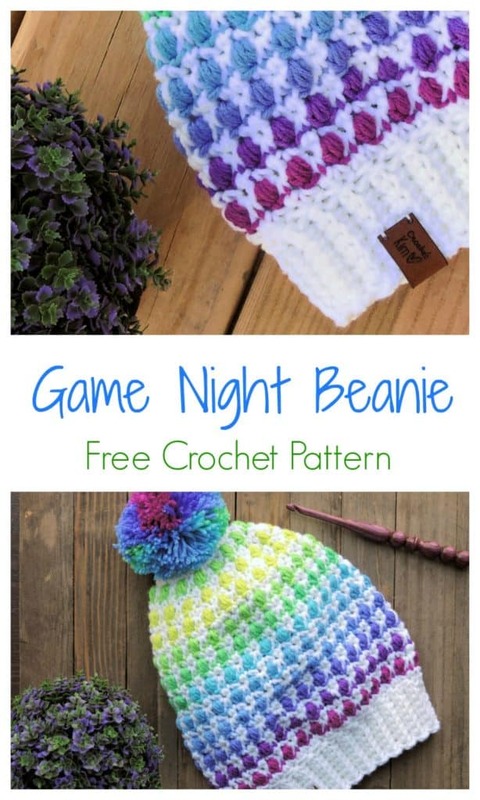 Note: If you prefer beanie length, stop at about round 21, then continue to brim. Note: Ribbing is worked vertically along stitches from round 27 of hat. Row 1: With smaller hook, ch 8, sc in second ch from hook and in next 6 ch, on hat body sk 1 sc from round 27, sl st in next sc, turn ribbing. Row 2:Working in back loops only, sc in 7 sc of ribbing, turn Ribbing. Row 3: Ch 1, working in back loops only, sc in 7 sc, on hat body sk 1 sc from round 27, sl st in next sc, turn ribbing. Repeat rows 2-3 until all stitches used from round 27, fasten off. With yarn needle, seam Brim. Weave in all ends securely. 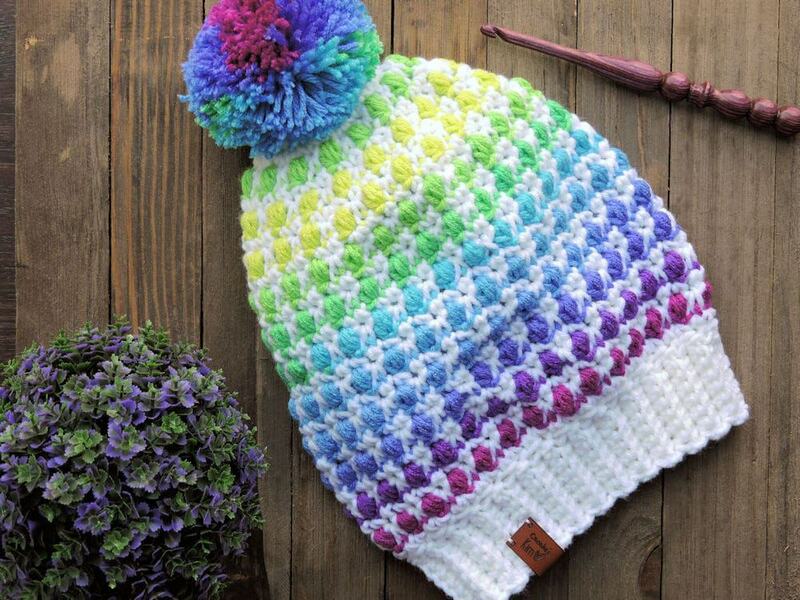 Make or purchase pompom and attach to top of hat. Perfectly in fashion, this cute little color blocked cardigan sports a designer look for baby’s active day. 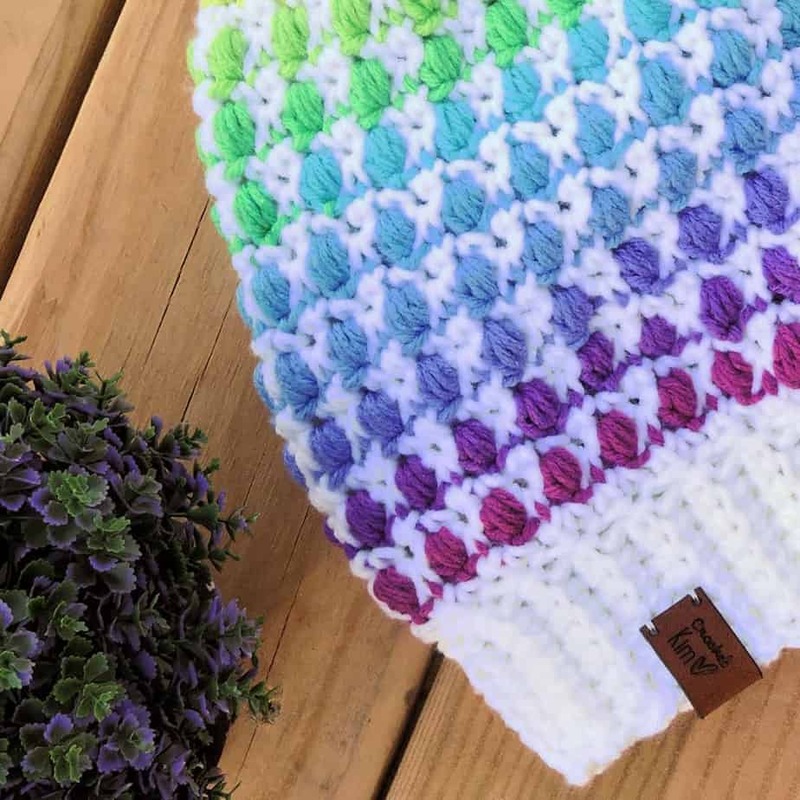 Crochet it in three colors, the choice is yours! Length: 10 (11, 12, 13)” (25 28, 30.5, 33 cm). GAUGE: With smaller hook, 19 sc = 4” (10 cm); 13 rows sc = 2½” (6.5 cm) in Yoke pattern; 2 shells = 1” (2.5 cm) in Skirting pattern. CHECK YOUR GAUGE. Use any size hook to obtain the gauge. 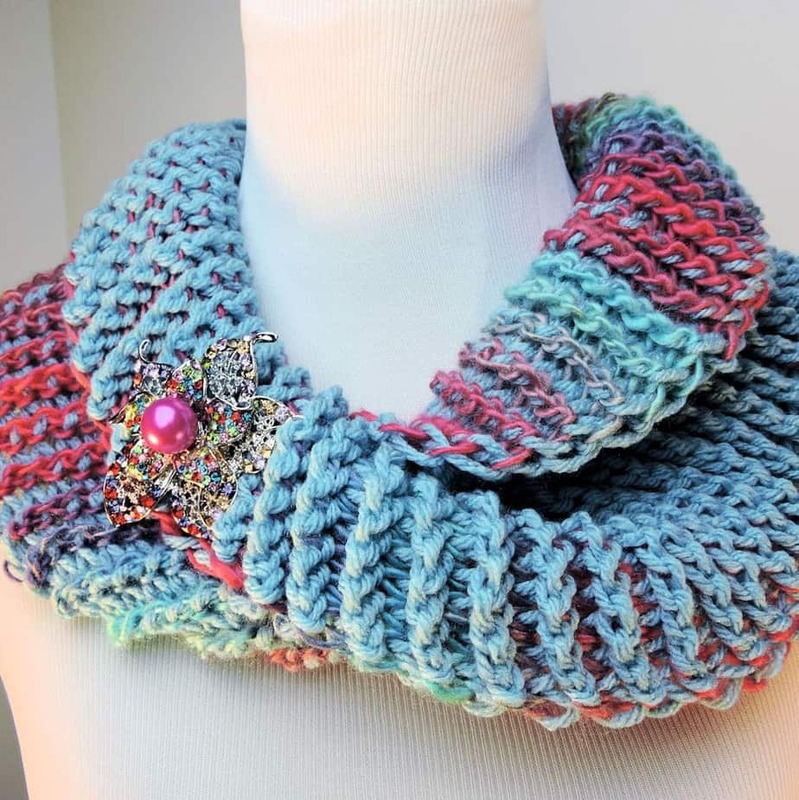 The yarn used in this project (Red Heart Luster Sheen) has been discontinued. I believe Patons Grace would be a good substitute. 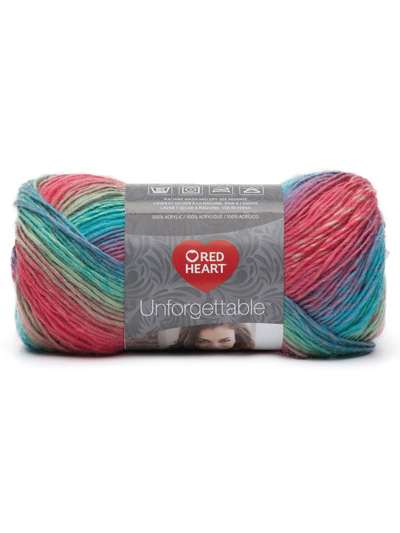 (A) Red Heart Boutique Unforgettable | color: Parrot | approx. 150 yds. (B) Red Heart With Love | color: Iced Aqua | approx. 150 yds. 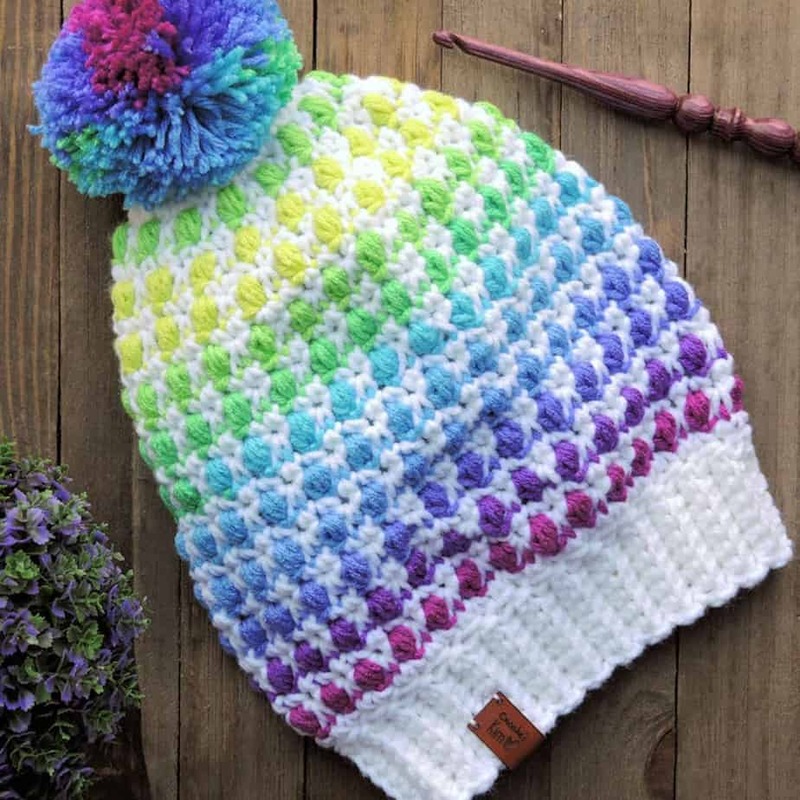 Yes, this is Tunisian Crochet (with a double-ended hook). But, don’t let that intimidate you. With full video support, this project can even be done by a beginner to Tunisian. When turning back and forth to change color, watch which direction you are turning the hook so your yarn doesn’t become tangled. A: With A, ch 22, sk first ch, *insert hook in next ch, yo, pull lp through (leave lp on hook), rep from * across–22 lps on hook. B: Turn hook 180 degrees so back of work is facing you, push lps to opposite end of hook, pull B through one lp on hook, still with B, [yo, pull through 2 lps on hook] across, ending with one lp on hook (counts as first st of row, here and throughout). A: Sk first vertical bar, still with B, tks across–22 lps on hook. B: Turn hook 180 degrees, push lps to opposite end of hook, pull A through one lp on hook, still with A, [yo, pull through 2 lps on hook] across, ending with one lp on hook. A: Sk first vertical bar, still with A, tks across–22 lps on hook. B: Turn hook 180 degrees, push lps to opposite end of hook, pull B through one lp on hook, still with B, [yo, pull through 2 lps on hook] across, ending with one lp on hook. Rows 4-111: Rep rows 2-3. Project should measure 31″ in length. Increase or decrease the number of rows in order to reach the desired measurement. Still with B, sk first vertical bar, *insert hook as for tks in next st, yo, pull lp through st AND through lp on hook (slip stitch made), rep from *across. Fasten off, leaving approximately 14″ yarn end for seaming.